Let's say you run an annual event (or a series). You may want to send a reminder email to everyone who entered last year with details about this year's event. However, you probably don't want to email people who have already entered this year's event, as it's hardly relevant to them! 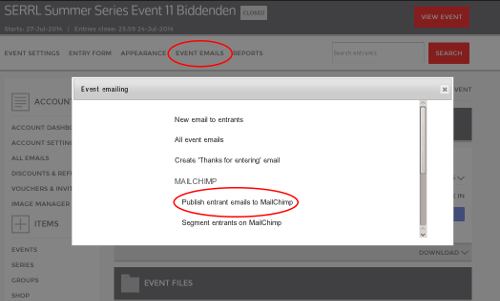 First, export last year's entrants to MailChimp - RiderHQ will automatically 'segment' them in MailChimp with a unique tag for that event (you can re-export multiple times, we'll only export the ones who aren't in MailChimp already). Next, export this year's entrants by going to this year's event dashboard and repeating the step above.